We have a strict daily routine. For example, every morning before our 11:00 nap, we sit in the window and look outside at the birds, people and other cats wandering around. The best times are when the birds hang out in the bushes next to the window and then walk out on the balcony. 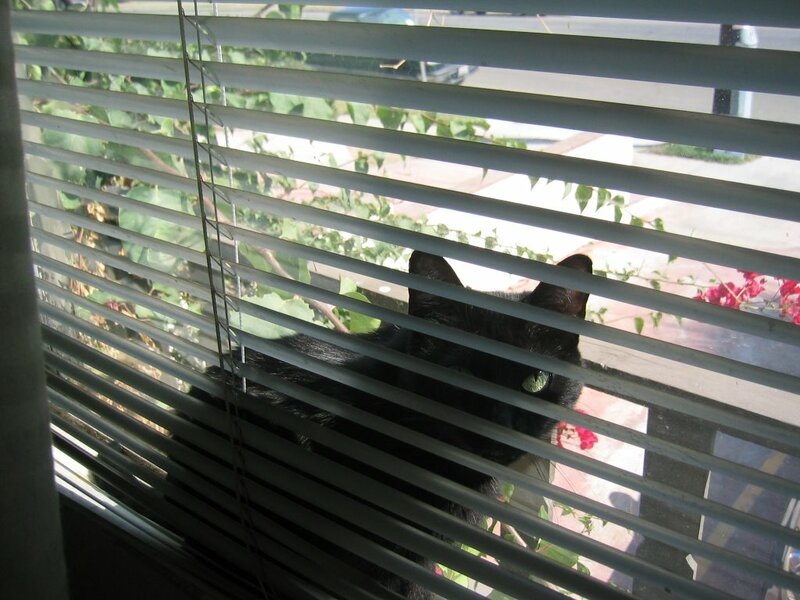 When the sun's out, which is most of the time, we crawl through the slats of the blinds and absorb as much heat as possible. 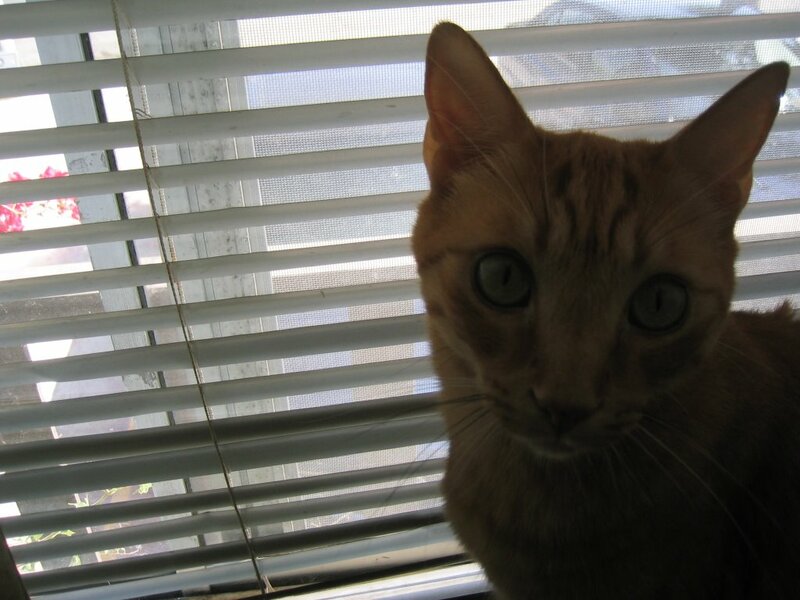 Sure, the blinds are pretty loud, since they're metal. Simba seems to think if we sneak through slowly, there's less noise. 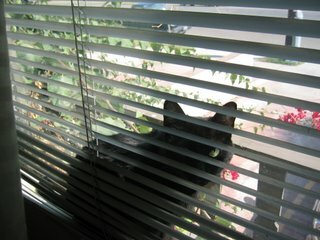 But I prefer to just throw myself at the blinds and get it over with. 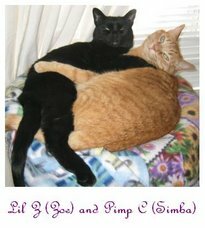 Simba's not very good at updating the blog, I think I'll be taking over for a while.